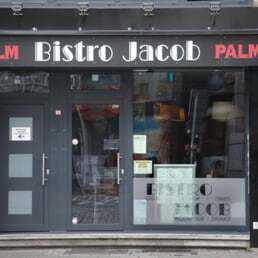 Bistro Jacob is situated in the heart of Antwerp on the Sint Jacobs market near the large shopping street 'Meir'. The interior is sleek with inspired baroque elements and where we ended up for dinner one evening. Keith wanted to try a couple of the beers and started with the Brugge Tripel - a unique Belgian triple style beer brewed by Brouwerij Palm with a mixture of herbs, a tradition dating back to the Middle Ages. It will surprise you with its aromas of malt, banana, raspberry, caramel and chocolate. 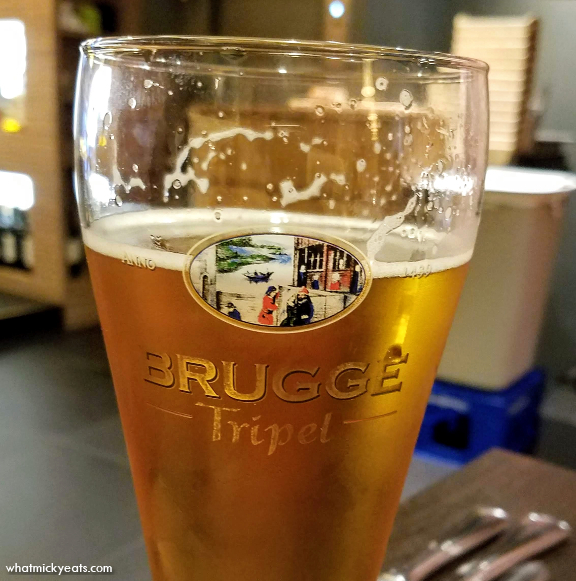 He also tried the Tripel Karmeliet - a blond Belgian #beer (8.4% abv) brewed by Brouwerij Bosteels in Buggenhout, Belgium. 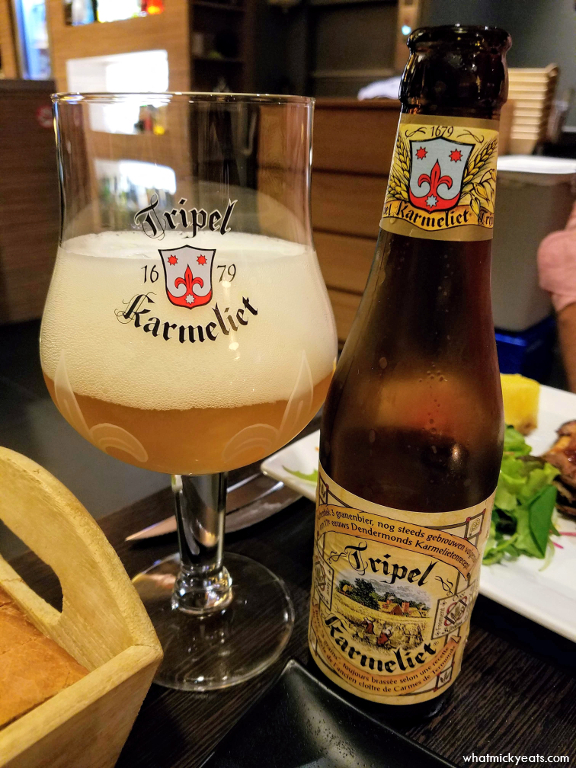 This beer is still brewed according to an authentic beer recipe from 1679 derived from the old Carmelite convent in Dendermonde. The beer is then bottle-conditioned. 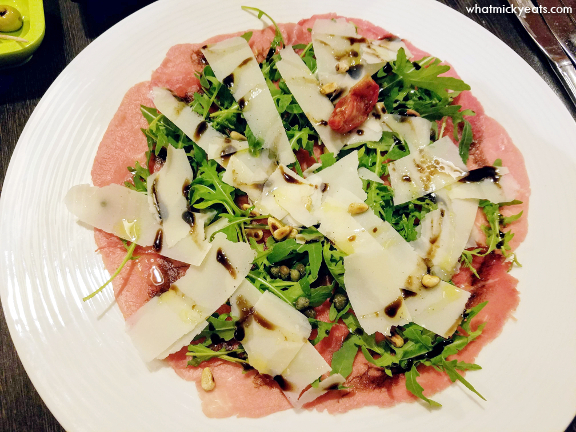 Keith started with Rundcarpaccio van filet d'Anvers with arugula and Parmesan. It was a large portion, and he enjoyed the simplicity of the shaved meat. 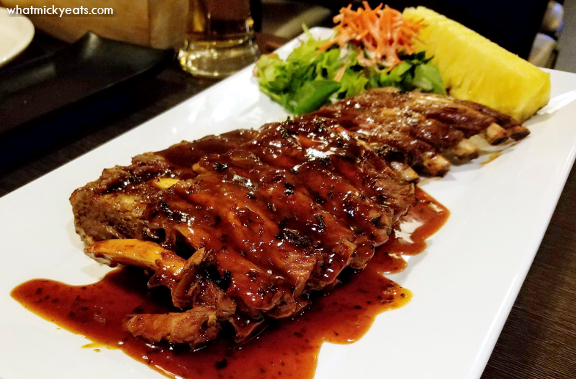 For his main dish, he ordered the Spareribs with a honey marinade, served with grilled pineapple, and a side salad. It was a large portion and looked appealing enough that the gentleman sitting at the table next to us also ordered it once he saw the plate delivered to Keith. 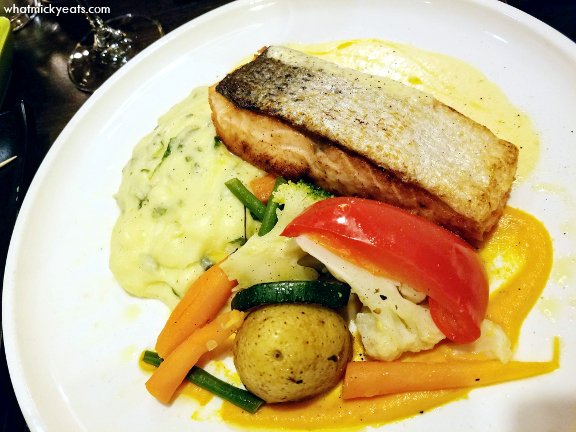 I ordered the Salmon served with mixed vegetables and a spinach and potato mousseline that was decadent. Another simple dish that prepared expertly and really hit the spot. Service was friendly, despite the language barrier, and the food was fresh and tasty.